Jennifer Rayner knows a thing or two about blue-collar blokes- her brother, her dad and her grandfather all make a living with their hands. But blue-collar jobs for Australian men are disappearing at a rapid rate, and this is not just a product of unstoppable economic forces - it's also the result of our failure to acknowledge the importance of those jobs and the people who do them. The men now losing their jobs in heavy industry or trades will not easily find new work in Australia's growing service industries; the evidence shows they are disengaging from the workforce instead. Drawing on extensive research and dozens of interviews, Rayner argues that there can be blue-collar jobs in our future economy. In fact, we can't keep building a fair and prosperous Australia without them. 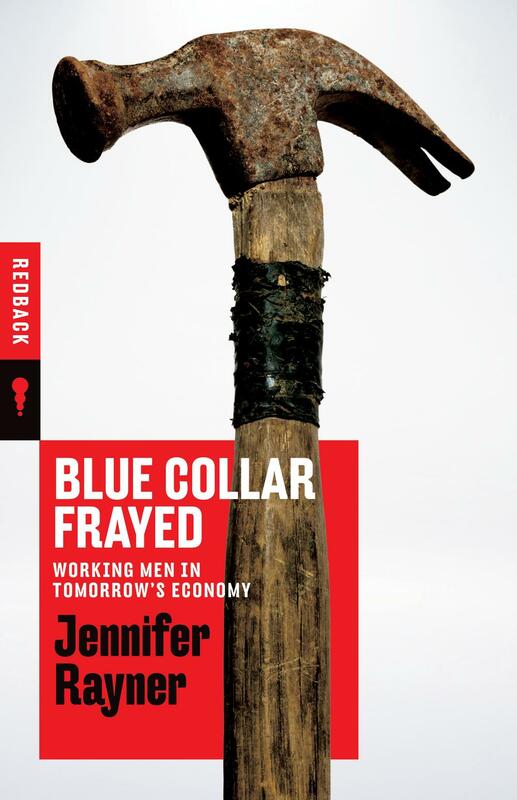 Humane and clear-eyed, Blue Collar Frayed is a vital contribution to our national conversation. Jennifer Rayner has worked as an economic policy adviser for federal and territory Labor and holds a PhD from the Australian National University. Her last book, Generation Less (2016), was an urgent call-to-arms on generational inequality. Too many talking heads promote the university degree as the first and ONLY step in young people's career path after leaving school. Rarely does vocational trade training (apprenticeships/traineeships/cadetships) ever rate a mention EXCEPT in this book. An excellent read.